At Advanced Cosmetic Implant and Laser Dentistry in Seattle, your dental health is important to us. There are many things you can do every day – or not do, as the case may be – to keep your teeth in good shape. Cavities, a sore jaw, or broken bridgework may result. If you must chew, select gum with Xylitol. 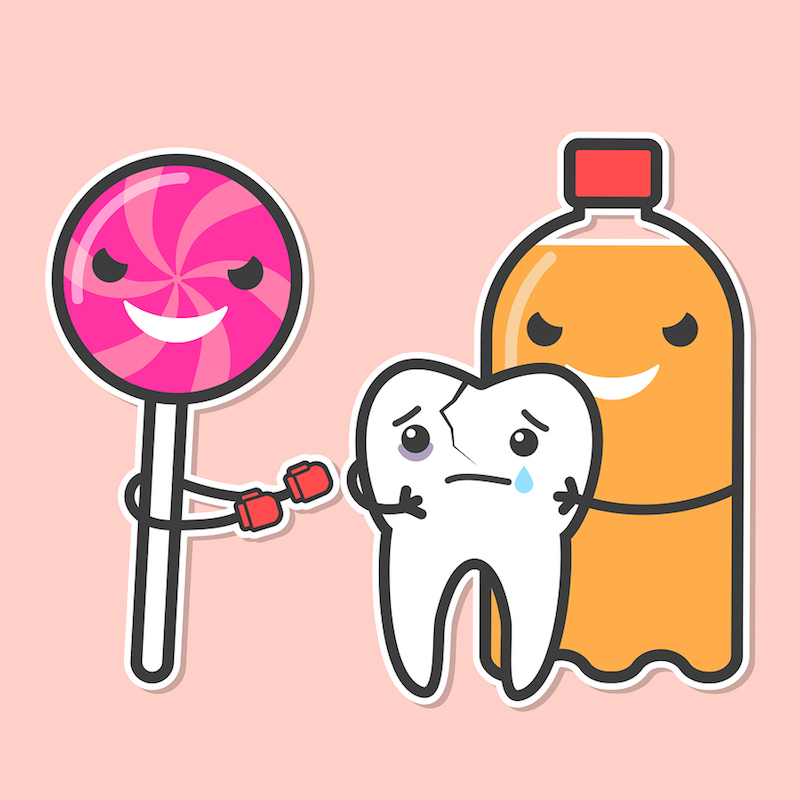 These sugary, acidic beverages are immensely efficient at damaging enamel. Your enamel is pretty tough. But so are ice and hard candy, and head-to-head, occasionally they win, resulting in a chipped tooth. Maybe you think brushing is adequate. Following brushing with a conscientious flossing job removes fragments of food and plaque between teeth. A soft bristled brush is the best tool for the job. Save your firm brush for cleaning the grout around your bathtub. Don’t wait until you feel pain. Seeing us every six months for a cleaning and checkup helps you, and our team, stay on top of your dental health. Prevention is the best medicine! At Advanced Cosmetic Implant and Laser Dentistry in Seattle, we want all our patients to have healthy teeth and gums. We offer general and cosmetic dentistry. Schedule an appointment today. Use the form below to ask a question about For A Healthier Smile, Stop Doing This and one of our expert team members will get back to you shortly.